Supreme Court Weighs Immediate Post Delivery In A Hospital As Used In NICA Law | Brewton Plante, P.A. 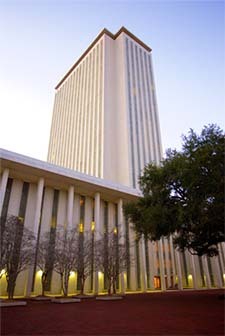 The Firm represented the Florida Birth-Related Neurological Injury Compensation Association (NICA) as an Appellate in this case in the First District Court of Appeal and in the Florida Supreme Court. The narrow question presented was the interpretation of the term “immediate post delivery in a hospital” as used in NICA law, Sections 766.301 – 766.316, F.S. NICA’s position was that the defined injury of the covered birth-related neurological injury must be caused by an injury to the brain, caused by oxygen deprivation, “occurring in the course of labor, delivery or resuscitation in the immediate post delivery period in a hospital” (the “operative period”). The Supreme Court, in reversing the First District Court’s decision, agreed with NICA’s position that the infant did not suffer a birth-related neurological injury in the operative period, and that the District Court’s opinion improperly expanded the time frame outside of the statute. The secondary issue, which NICA supported, was that the rebuttalable presumption contained in the NICA law was for the benefit of the Petitioner, not for the participating physicians and hospitals. The Court affirmed NICA’s position. The Court sustained NICA’s position on both issues. NICA’s attorneys were Wilbur E. Brewton and Kelly Brewton Plante.